Participating partners in smARTpass are located all over the 7-county metro area and include a variety of museums, nature sites, performance groups, and theaters. These partners generously provide free admissions; they are not reimbursed for their participation. The American Swedish Institute is a vibrant museum and cultural center that is a gathering place for all people to share experiences around themes of culture, migration, the environment and the arts, informed by enduring links to Sweden. The historic 1908 Turnblad Mansion with rotating art exhibitions, FIKA Cafe' with award-winning Nordic-inspired cuisine and the ASI Museum Store, your destination for unique Scandinavian gift items, are highlights of any visit. The Bloomington Symphony Orchestra (BSO) is a community orchestra located in the Twin Cities suburb of Bloomington, Minnesota. The BSO is led by Music Director and Conductor Manny Laureano. It is made up of volunteer adult amateur, semi-professional and professional musicians from all around the metro area. Many of our members are professionals who love to play music in their spare time. Classical Actors Ensemble performs the plays of the English Renaissance with immediacy, passion, and as popular entertainment. It is CAE’s goal to demonstrate why these works of art are considered classic and to freshly prove their relevance in today’s world. 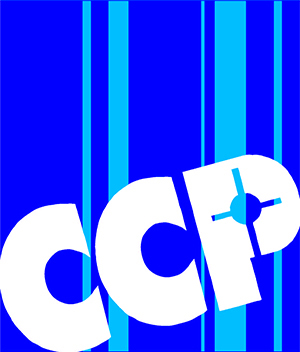 CCP’s mission is to weave artistic expression with charitable support. Our foundation and legacy includes community engagement, artistically compelling productions, and charitable significance; these result in structured, purposeful growth of our organization. The Firefighters Hall & Museum contains a variety of vehicles, equipment, literature, and photographs related to firefighting and firefighters. Some of the permanent displays include an 1894 steam fire engine, a 1919 American LaFrance ladder truck from Mankato, and a 1932 FWD pumper built by the Minneapolis Fire Department shop. There is also an established and rotating display of area fire collector vehicles. The exhibits that the museum is most proud of are the ones built for are youngest visitors. We have a real fire pole to slide and till trucks to drive! Kids can feel as if they really are a firefighter. GTCYS broadens access to orchestral music and reaches more than 16,000 children and adults through our core educational programs, free outreach activities and workshops, concerts, and special performances. Our programs provide an exceptional youth orchestra experience for young musicians of all ages and abilities, aiding in their development as young artists and adults. Hennepin History Museum saves and shares the diverse history of Hennepin County, Minnesota. Come experience our exhibitions, public programs, and library. Your history. Your museum. Since the Illusion Theater’s beginning in 1974, Producing Directors Michael Robins and Bonnie Morris have used the power of theater to catalyze personal and social change, illuminating the illusions, myths, and realities of our times. In 43 years, Illusion has generated over 500 plays, developed thousands of artists and created ground-breaking educational works. Plays developed at Illusion have been produced in theaters throughout the world. Illusion’s work has catalyzed conversations in living rooms, kitchens, coffee houses, schools and board rooms, and has led to transformations in policy, in organizations and in individuals. Illusion Theater is located on the 8th floor of the Cowles Center for the Arts in downtown Minneapolis. Minnesota Children’s Museum is dedicated to providing children with a fun, hands-on and stimulating environment to explore and discover. The Museum helps to instill a lifelong love of learning by nurturing the real-world skills children need to become engaged citizens in the future. In the heart of the University of Minnesota Twin Cities campus, Northrop presents world-class dance and music performances, speakers, films, exhibits, and more. Park Square opened in 1975 in an 80-seat walk-up in the Park Square Court building. With our move to the Historic Hamm Building in 1997, we began our strong relationship with Actors’ Equity Association (the union of professional actors and stage managers), and embraced a leading role as a producer of contemporary plays. Since then, we’ve grown into one of Minnesota’s top employers of local stage talent – 64 percent of whom are women and artists of color. Our education program engages one of the nation’s largest teen theatre audiences. We’re a vigorous company with the ambition and chutzpah to be your theatre of choice. We can’t wait to have you join us! Penumbra Theatre produces artistically excellent, thought-provoking, relevant art that illuminates the human condition through the prism of the African American experience. Since 1992, we’ve brought contemporary work to life in productions that combine nerve and verve. From our intimate 96-seat theatre in south Minneapolis, we’ve produced over 40 productions, including more than a dozen area premieres. Among the celebrated playwrights whose works have been presented are Athol Fugard, Ed Bullins, Tony Kushner, Lisa Jones, Lorraine Hansbury, Tennessee Williams, Leroi Jones and Lanford Wilson. PRIME Productions celebrates women in their second act. We seek to explore, illuminate and support women over fifty and their stories through the creative voice of performance. PRIME Productions was founded in 2015, on the belief that women of a certain age shouldn’t disappear from the stories we see on stage, nor be marginalized in roles that only serve to support other characters. We produce plays that employ more female theater artists (as actors and designers) and address issues relevant to an aging population. The Rosemount Area Arts Council (RAAC)is a community arts organization serving residents of Rosemount and the surrounding communities, giving residents a chance to experience and take part in artistic endeavors, by offering a wide range of programming such as concerts, art festivals, music festivals, art and craft classes, plays, author and writing events, and much more. 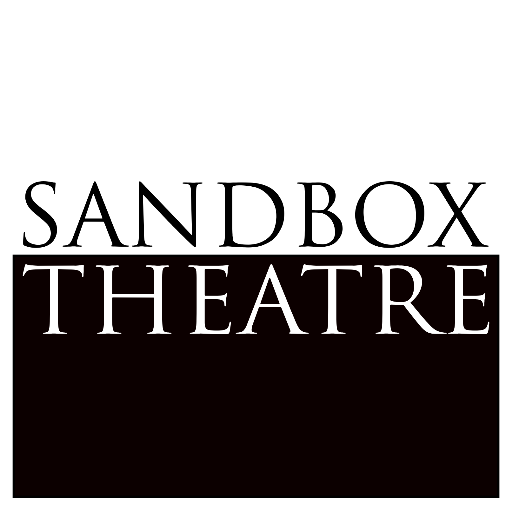 Sandbox Theatre was founded in 2004 in Minneapolis, Minnesota by four artists — Ryan Hill, Lisa Moreira, Andrew Lawrence Schiff and Heather Stone — who sought a place to play with new ideas and new forms of storytelling. The company came together out of backyard meetings between a playwright, a choreographer, an actor and a designer. Since our first production Victoria In Red in 2005, the Sandbox ensemble has grown to a company of 11 artists, still devoutly committed to creating visually rich, engaging new theatre stories. Sandbox’s hallmarks are visual dramaturgy (storytelling through design and movement) and our creative process. The ensemble only creates new plays. Our work is defined by an established, one-of-a-kind process of material generation and group editing; a guided collaboration that creates timely, affecting, inspirational plays. For over 135 years, Schubert Club has invited the world’s finest recital soloists and ensembles to the Twin Cities and promoted the finest musical talents of our community through performances, education, and museum programs. It has secured a prominent and distinguished reputation among musical organizations nationwide, and is one of the first arts organizations in the country. We are a membership organization for seniors age 50 and over, interested in the theater. ​​​​We produce two longer plays each year as well as offer classes in various aspect of theater. 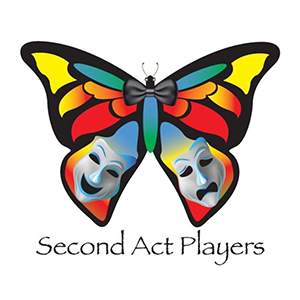 This organization is perfect for folks in the "second act" of their life who want to get involved in theater! 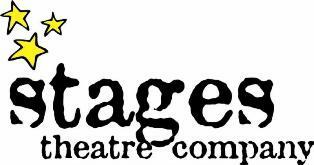 Stages Theatre Company (STC) is committed to the enrichment and education of children and youth in a professional theatre environment that stimulates artistic excellence and personal growth. STC is recognized as a leader in theatre, education and production programming for children and young adults, and has received a number of regional and national awards and grants. SteppingStone Theatre focuses on developing the whole child through educational theater programs and fully staged productions. Our supportive, non-competitive environment helps youth build self-esteem and confidence in a community that celebrates diversity. SteppingStone’s programs foster creativity, self-expression and self-confidence; teach children and youth about history, diverse cultures, literature and the arts through engaging and entertaining learning; and help to create in youth a lifelong appreciation for the arts. Since opening in 1970, The O'Shaughnessy has been a unique spot in the cultural landscape of the Twin Cities. During the first 15 years of operation the hall was filled with classical, orchestral, and modern music. After the construction of the Ordway Music Theatre in St. Paul, and Orchestra Hall in Minneapolis, The O'Shaughnessy established itself as a venue for regional and local dance community organizations such as CAAM Chinese Dance, The James Sewell Ballet, TU Dance, Katha Dance, Ballet Minnesota, Out on a Limb and countless others. In addition, The O'Shaughnessy regularly hosts popular concerts. The list of performers is long including kd lang, Elvis Costello, Jewel, and Brandie Carlile. Famous speakers have included Dr. Maya Angelou, Toni Morrison, and Madeleine Albright. Comedians Jay Leno and a young Steve Martin have performed, as well as Broadway stars Lily Tomlin, Joel Gray, and Ben Vereen. The O'Shaughnessy is supported, in part, by the "Clean Water, Land, and Legacy Amendment" & the Minnesota State Arts Board, Wells Fargo, Arts Midwest, The Boss Foundation, NEFA and VSA Arts. Renowned for its artistic excellence, remarkable versatility of musical styles and adventurous programming, The Saint Paul Chamber Orchestra, now in its 59th season, is widely regarded as one of the finest chamber orchestras in the world. Committed to championing new music, the SPCO is primarily an unconducted ensemble that works in close collaboration with a diverse series of Artistic Partners. The virtuoso musicians of the SPCO present more than 130 concerts and educational programs each year, and are regularly heard on public radio programs which reach 1.2 million listeners each week on 289 stations. The SPCO has released 67 recordings, commissioned 148 new works, and tours nationally and internationally, including performances in premier venues in Europe, Asia and South America. Recent engagements in Berkeley, CA, New York’s Carnegie Hall, the Ojai Festival, and tours to Scandinavia and Central and Eastern Europe were met with great critical acclaim. Theater Mu was first founded in 1992 as a theater company dedicated to bringing Asian American perspectives to the stage in the Twin Cities at a time when Asian American theater did not exist in the area and the community was rarely recognized. Over the years, we have grown into one of the largest Asian American performing arts company in the United States. Theater Mu has helped to develop and support the work of local and national playwrights, actors, directors, and musicians by premiering many new works, fostering a new generation of Asian American artists, and bringing Asian American voices to Twin Cities audiences. 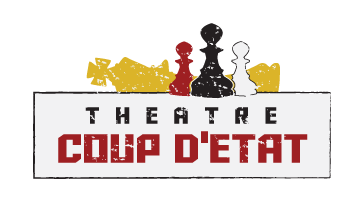 CDT is an award winning twin cities theatre company whose mission is to provoke an emotional and analytical response in audiences by showing the depth of the human condition through gritty, intimate productions of both classical and contemporary works. Since our founding in 2011, CDT’s work has stood out for its ability to tackle challenging, provocative texts with exceptional performances by our actors, while providing intimate theatre experiences for our audiences. To create theatre where audience and artists share passion for the play. We are Pro Rata: we create smart, vivid, varied, and gutsy programming. As an audience member, you’ll be part of moving, thought-provoking theatre. Founded in 2004 by Toni Pierce-Sands and Uri Sands in Saint Paul, Minnesota, TU Dance is a leading voice for contemporary dance. The professional company is acclaimed for its diverse and versatile artists, performing work that draws together modern dance, classical ballet, African-based and urban vernacular movements. Through celebrated performances of the professional company and accessible dance education at TU Dance Center, TU Dance provides opportunities for everyone to experience the connective power of dance. Walking Shadow Theatre Company is a Minneapolis-based company with a reputation for producing well-staged and carefully researched work. We are drawn to shows that are smart, exciting, savvy—and often a little quirky or subversive. Walking Shadow has been called “a company that deserves attention” by the Star Tribune and praised by Minnesota Monthly for its “polished productions of incisive modern works.” Walking Shadow has performed at a variety of theaters in the Twin Cities since 2004, including the Dowling Studio at the Guthrie Theater, Minneapolis Theatre Garage, Pillsbury House, Red Eye, and others. The company also has appeared several times at the Minnesota Fringe Festival and occasionally produces site-specific, interactive shows with puzzles. The company is led by a trio of artistic directors: John Heimbuch, David Pisa and Amy Rummenie.